With a reach of over 284 million active users on Twitter, it’s no surprise that businesses now consider it almost a necessity to have an account. It has become an essential marketing tool for businesses big and small, and for good reason: it’s free, has the potential to reach millions of people, and more people are joining every day. But none of that matters if you don’t know how to effectively use this social media platform. To help you and your business, we’ve highlighted a few of the most important tips and tricks to help your business live up to its full Twitter potential. If you’re just beginning with Twitter, it can be daunting trying to keep up with the 24/7 activity. But you don’t have to sit in front of your computer all day – you can use a social media dashboard application. These apps help you organize, schedule, and analyze your Twitter. Some are free and some charge a premium, so do your research to figure out which works best for you. There are countless sites out there to help you manage Twitter, but we’ll tell you about three of the most popular and useful. TweetDeck has become the most popular dashboard app, and for good reason. In addition to allowing you to schedule Tweets to be posted at a later time, TweetDeck has a strong focus on customizing your Twitter experience. It allows for multiple custom timelines to be viewed at once and you can manage multiple accounts all from the same page. For example, you can create a custom timeline updating you with all mentions of your business while also viewing reactions to your latest tweet. You can also set up alerts to notify you of important events and updates on your business. Hootsuite can control your business’s social media accounts across all platforms, not just Twitter, streamlining your social media accounts. Hootsuite makes it easy to interact with your followers right through the app, a key component to success on the site. One of the most useful aspects of Hootsuite is its analytics. Not only does it monitor social media for your business, but it can track and measure brand growth, perform sentiment analysis to monitor attitudes towards your brand, and analyze the demographics, in addition to many other metrics. This can all help you to see what’s working and what’s not and help you improve for the future. Buffer offers analytics and scheduling. Buffer can offer more detailed analytics by working with Google Analytics within Twitter, such as comparing the number of retweets and favorites, and allows custom filtering and sorting of the data. It also tracks the number of clicks on links tweeted out to followers, allowing you to see the reach and effectiveness. The app makes it easy for multiple account managers to access your business’s account anywhere. All of these applications make managing Twitter easier, it’s just a matter of figuring out which dashboard best suites your business’s needs. Twitter is a social networking service, with an emphasis on the word “social.” That means your business needs to interact with its followers! Don’t ignore your customers. If they have a question, answer it. If they want to sing your praises, thank them! Ignoring your followers’ comments or concerns won’t help your business be successful on Twitter, and customers won’t appreciate being snubbed. Engaging others is one of the easiest ways to gain more followers, as most interactions are public and viewable by all. After tweeting, don’t just forget about it. See how your followers react and respond accordingly. Feel free to have some personality, but keep it appropriate. As your business grows it can be difficult to keep up, but do your best to keep a focus on the social aspect of the site. Clearly your Twitter is going to be all about your business, but that doesn’t mean it needs to be repetitive and boring. Exactly what you share is completely up to you, but varying the types of posts keeps your Twitter interesting and more likely to retain or gain followers. It doesn’t all have to be purely marketing – mix up your promotional offers with a look inside the offices. Tweet about your latest product, share a discount with your followers, or tweet some highlights from a conference. Mixing the advertising in with other content keeps followers interested and connects your business with your customers. The 140-character limit is what many love about Twitter, but it can be the downfall of your business if you don’t know how to embrace it. Do not try to write an essay in your tweet. Keep tweets short and sweet. Have an important press release about a new product? Instead of trying to summarize all of it, mention only the most important snippets and tweet the link to the full release if needed. Take advantage of pictures and videos too – these types of media tend to get 3-4 times more clicks than just text posts. Even though Twitter has been around for almost 10 years now, it’s not too late to make an account if you haven’t! To help you learn the basics of creating an account and using the site, OpenSesame offers a course focusing just on this. Once you’ve got the fundamentals down, you’re ready to work on successfully managing your account. 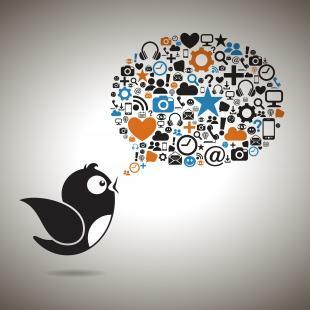 Twitter’s global reach and easy access make it a key tool for businesses in the modern world. The marketing and connection possibilities are countless, and following the tips outlined above can give you and your business the jumpstart it needs to be successful.